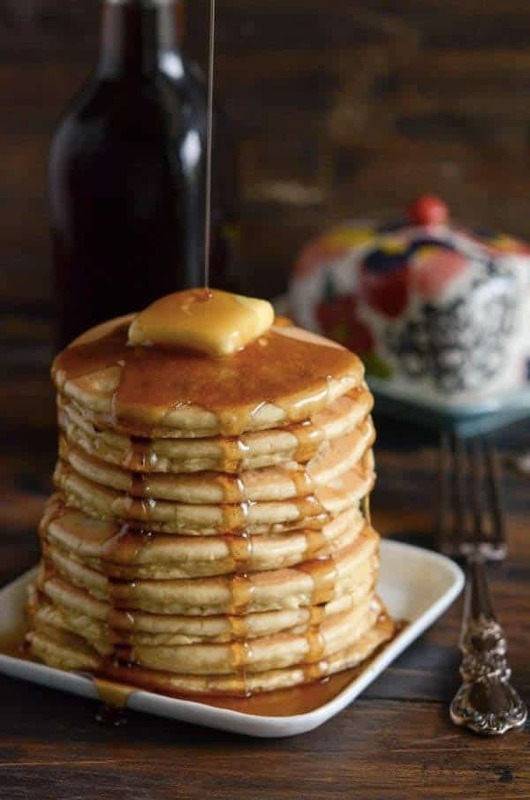 I’m not sure why, but everyone I know loves pancakes. 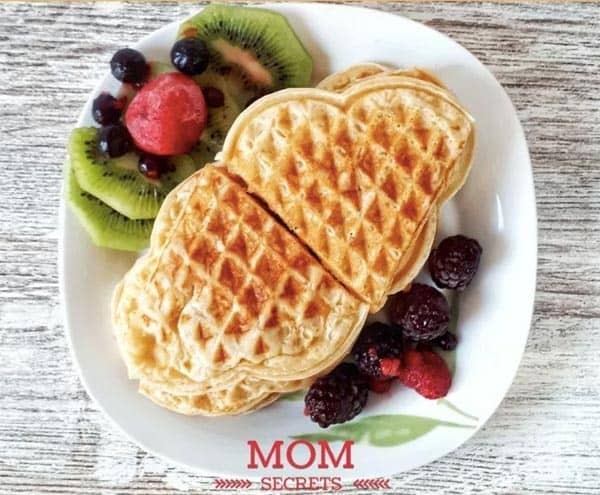 For me, they are associated with my childhood memories of Sunday mornings when my mom would spend 40 minutes in the kitchen making her specialty – pancakes, and then in under 20 minutes, they would all be gone 🙂 On a Ketogenic diet, people still crave for the food they are used to have before starting a diet. 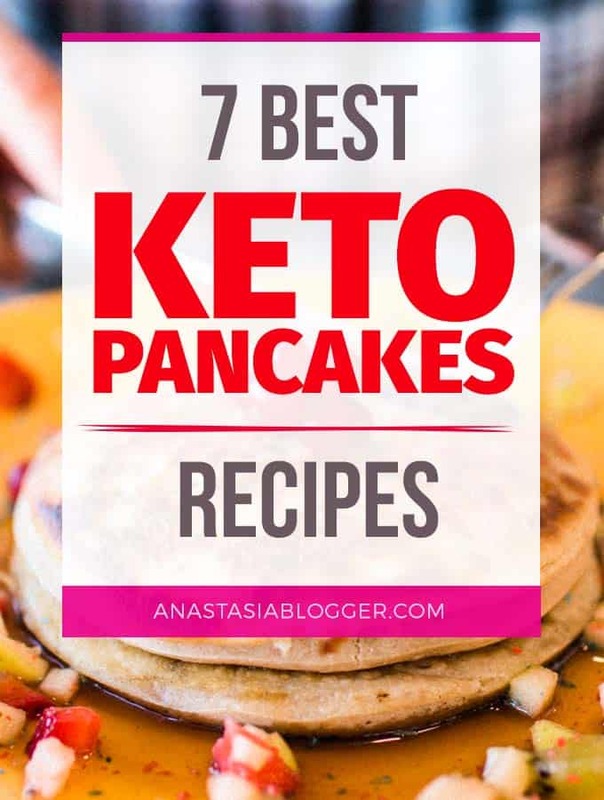 And luckily, I found absolutely delicious Keto pancakes recipes which look amazing, taste great and don’t ruin your efforts to stay in Ketosis. 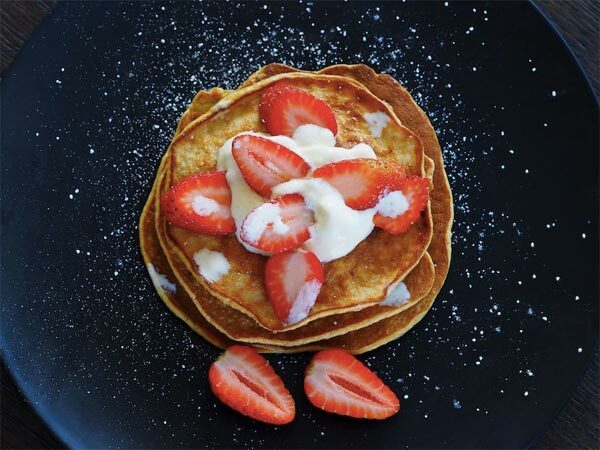 Some of them are Keto pancakes with almond flour, in others, you’ll see coconut flour used as a base, one thing is sure – they are all hand-picked low carb pancakes recipes. 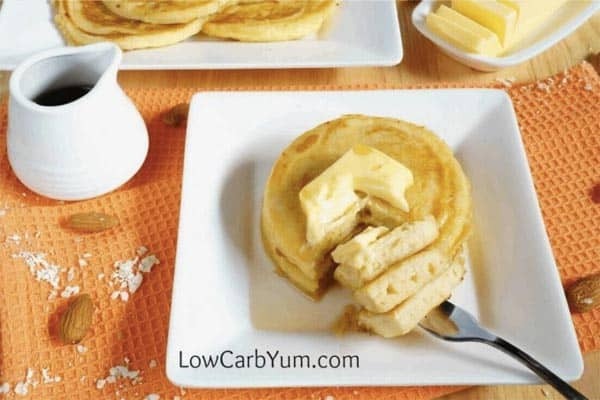 I even found some savory low carb pancakes and Keto waffles variations. Enjoy your Keto breakfasts every day! 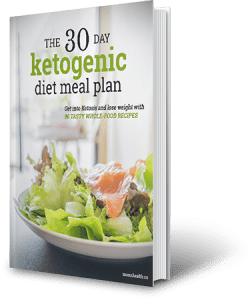 Are you tired of the amounts of meat and eggs you consume on the Ketogenic diet? 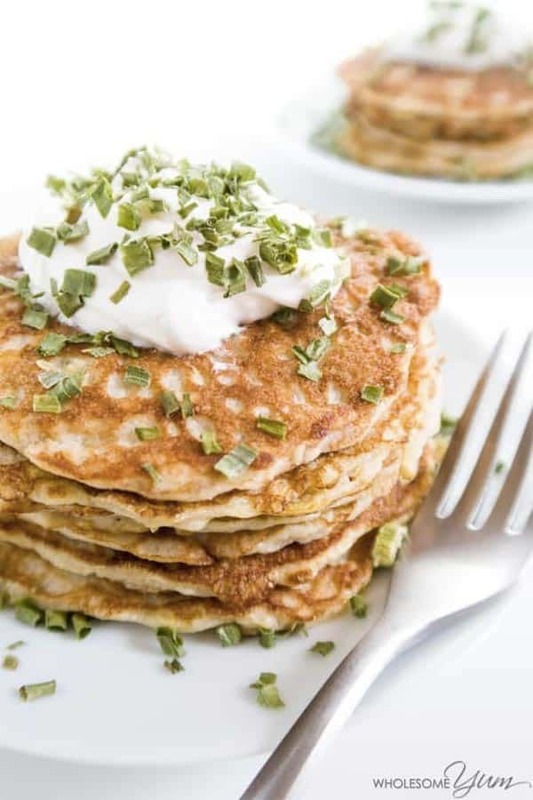 I’ve got here a great collection of Vegetarian Keto Recipes to diversify your meal plan. 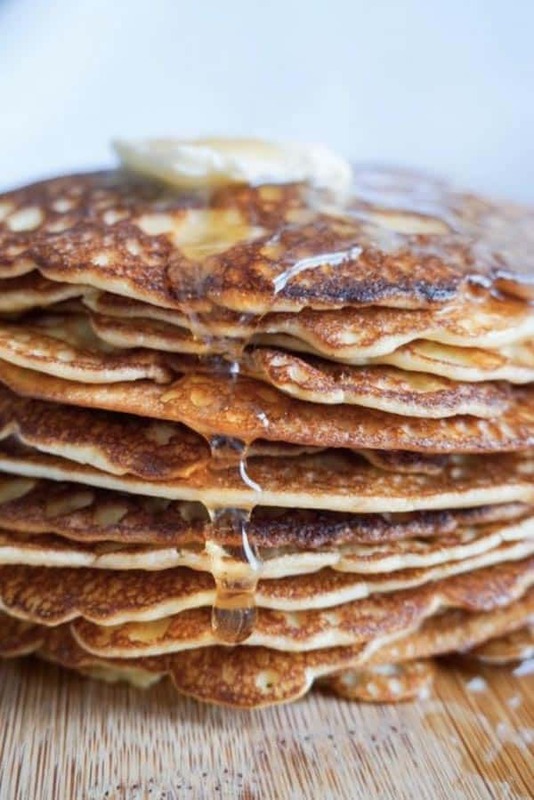 “Low Carb Pancakes: these gluten free, low carb pancakes, made with almond flour, are a delicious family approved breakfast”. These are Keto-friendly buddies, high-fat, high-protein, very low carb!